Be a part of the first Teaching Assistant TeachMeet! The University of Northampton has recently announced their first Teaching Assistant TeachMeet, held this coming May and is free to attend (limited tickets available). Each year, TeachMeet allows educational staff to come together, sharing positive and inspirational ideas through informal interaction and short presentations. You can take part and present or simply listen and be inspired! Either way, you’ll learn a thing or two about Teaching Assistants and HLTAs! TA TeachMeet will take place from 5.30pm on Thursday 22nd May 2014 at the University of Northampton. Contact jean.edwards@northampton.ac.uk for information, presentations and booking information. 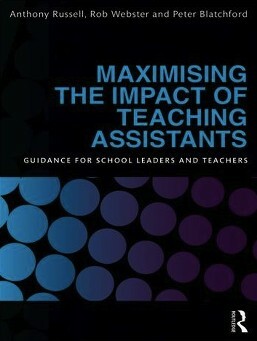 Maximising the Impact of Teaching Assistants (MITA) has been designed to provide easy-to-use, evidence-based materials and activities to improve the preparation of TAs and teachers, the deployment of TAs, and TAs’ interactions with pupils. Drawing on our extensive research, MITA provides support, guidance and recommendations primarily directed at school leaders’ efforts to invest in and develop their TA workforce, and at teachers looking for techniques and strategies to improve their classroom practice. This chapter sets out the case for rethinking the current and widespread ways of using TAs. We provide an explanation for the negative relationship between TA support and pupil progress found in the Deployment and Impact of Support Staff project and raise questions for readers to think about. We explain how the guidance in the book was derived from an action research study we undertook in collaboration with schools, called the Effective Deployment of TAs project. This chapter aims to raise awareness of the need to review the deployment, preparation and practice of TAs as they are currently in your school, and to guide you on the tools through which the present situation in any one school or class, or cluster, can be obtained. We draw on the audit devised as part of the EDTA project and through which we confirmed its usefulness in helping schools to initiate the processes of review and change. The perceived role of the TA is central to the ways in which they are deployed, and this chapter sets out the various roles assigned at the school level by headteachers and at the classroom level by individual teachers. The linking – or ‘Velcroing’, as it is sometimes known – of TAs to pupils with SEN and those whose attainment is relatively low, is presented as the central issue about TAs facing the school leaders and teachers. The DISS project has shown that, at present, decisions regarding TA deployment are often detrimental to the pupils being supported, so change is clearly necessary. Whilst TAs are not to blame for this situation, we argue that the status quo is no longer defendable and serious investment in TAs is now needed. This chapter deals with issues such as: induction; TAs’ instructional and subject knowledge and skills; training; recruitment; and contracts. At the classroom level, the main focus is on issues of time for TAs to meet teachers for preparation and feedback on a day-to-day basis, as well as communication more generally. The verbal interactions between TAs and pupils (‘practice’ in our terms) are at the heart of their role as supporters of learning. Although this relates to decisions and strategies at the classroom level, there are school-level decisions relating to strategic choices about questioning styles, monitoring and training, which can be made to improve TAs’ practice. Furthermore, it reveals ways in which schools and teachers can reduce the need for adult support by helping pupils to develop independent learning skills. This chapter sets out things that schools can start doing tomorrow in order to release the huge potential of TAs. In this final chapter we restate the case for change (chapter 1) by summing up the positive impact of carrying out the suggestions in the book, drawing on the experiences of the schools we worked with in the EDTA project. Make 2014 the year of change! Have you decided it’s time to act and get yourself a better job? Perhaps you’re wondering whether to go for that course in case it improves your prospects? Well, look no further! Between 10th – 14th March, Teaching Personnel (one of the UK’s largest teaching recruitment agencies), has lent us a team of experts to answer ANY questions you may have about your job prospects. This is a perfect opportunity to utilise some of the best experts in the field. Teaching Personnel will answer your queries and we’ll post them below. To post a question, simply add your question(s) below in the comments section or email career@tafocus.co.uk. You don’t have to give your real name if you prefer to remain anonymous. Teaching Personnel’s team of experts will endeavour to answer as many questions as they can. Teaching Personnel (www.teachingpersonnel.com) is the UK’s leading education recruitment specialist. Since 1996 they have registered over 100,000 teachers and classroom support staff who have chosen Teaching Personnel to help them find them work in UK classrooms. They are recognised for having the most stringent vetting procedures and for tailoring their service to meet the unique staffing requirements of every school. Every academic year they provide staff to over 4,000 schools and are recognised by schools as the quality provider of education supply staff. Q. Can I ask whether there are many jobs in the Southampton or Bournemouth area? Every time I look for jobs there, I can’t find any and I have lots of qualifications! A. Teaching Personnel are currently advertising 243 jobs for Teaching Assistants across Hampshire and Dorset. The majority of these will be within the proximity of Southampton and Bournemouth as these cities are where the majority or our client schools are located. If you would like to discuss job opportunities in this area, feel free to give us a call on 023 8033 1441. Q. I am doing a level 2 online course and wanted to know whether I need to get some experience (work placement) as well. I should have checked, but the course is not one that enables you to get experience. A. Experience is always a bonus but not having any doesn’t mean you won’t find a position after completing your course. If you are interested in getting some experience, perhaps on a voluntary basis for a week or two, we could help you find a suitable school. We would not charge the school for this and there would be no cost to you either. Once you then have this experience and have completed your course, we would be more than happy to find you a job. Q. I’ve started a course in supporting teaching and learning in schools. Is that the standard qualification or is there something else I need? A. I’m afraid we don’t have much experience of that particular course. It would be worth asking your course leader to confirm whether this is equivalent to an accredited teaching assistant qualification. Q. There has been much talk about the role of teaching assistants, resulting in the loss of many TA jobs. Have you seen many schools replace redundant staff? A. At Teaching Personnel the placement of teaching assistants has seen no decline in recent years – quite the opposite in fact. 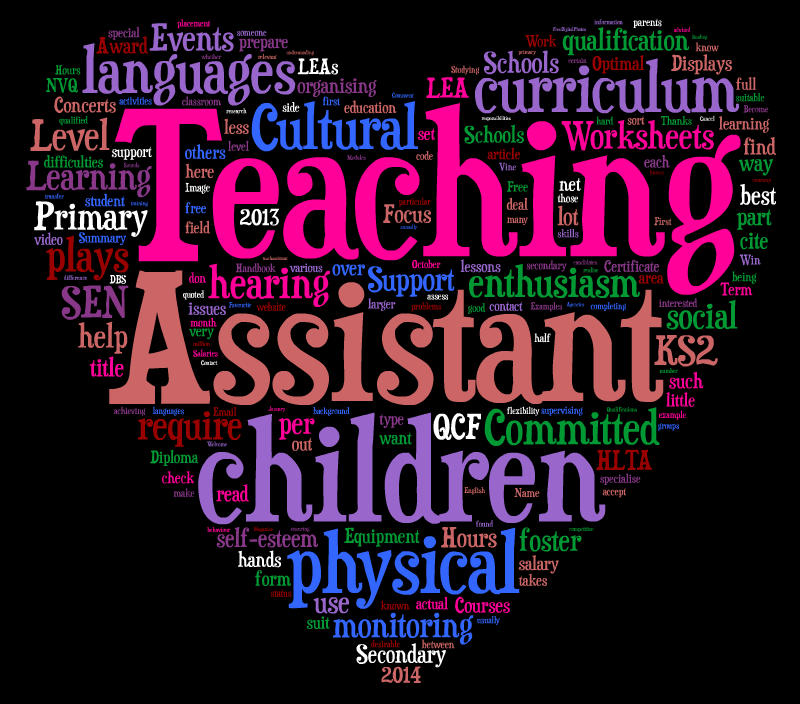 Clearly there have been a few headlines in the media but the reality is that teaching assistants are highly valued by headteachers. There may be/have been changes to the way teaching assistants are deployed in schools now and in the future but in terms of workforce reduction, that is not our experience. Q. Is there any need for higher qualifications (foundation degrees)? A. It really depends on your career path within education. Do you want to enter the classroom as a teaching assistant capable of leading a team of learning support staff? Is your ultimate goal to become a qualified teacher? We find work for teaching assistants who have level 1 qualifications right through to those who have degrees, previous classroom experience and HLTA status. Q. Can I get a TA job without qualifications and learn/study on the job? A. It depends on the school. Some schools will recruit you without a formal qualification and allow you to gain a qualification ‘on the job’, some will require you to have a formal teaching assistant qualification before appointing you. If you have the transferrable skills, some experience and the right attitude you stand a good chance of a school taking you on as an assistant with a view to helping you develop your career in the classroom. Q. TA salaries are pretty low. Do you have many candidates on your books willing to work for such low wages? A. The pay rates are generally determined by the role. If you are a classroom assistant helping with displays and general teacher support tasks you won’t be paid as highly as a learning support assistant who is delivering pupil interventions to help raise attainment or a specialist TA who is working one-to-one with a child that has severe special needs. At Teaching Personnel we place teaching assistants across the full range of classroom support roles. Q. I work as an LSA in a secondary school, but want to know whether I should be looking to gain experience or qualifications to improve my future prospects? A. You are in the best place to get more experience if a career in the classroom is what you desire. We would recommend speaking to the headteacher or a member of the senior leadership team to discuss your career progression. They are highly likely to show a keen interest in your career development as it will positively impact on their school and its pupils. Q. Do schools prefer temporary staff rather than permanent? A. Both we hope. It depends on the nature of the staffing requirement. Not all requirements are permanent – many are to cover a member of staff who will be returning the school in the future – perhaps after taking maternity leave for example. Q. There appear to be many jobs advertised on the TP website. Is staff turnover high or are these ‘new’ roles? A. Teaching Personnel is the largest agency in the UK which, generally speaking is why we have a large number of job opportunities advertised. Put into context though, there are over 26,000 schools in England and Wales with around one million staff working in them. Teaching Personnel has just over 12,500 job opportunities advertised on our website. Our jobs are a mix of temporary short and long-term cover (1 day to 1 year in length), some permanent roles and specialist assignments to support the delivery of flexible pupil interventions. Q. Do NNEB diplomas count these days? Can I use this to become a teaching assistant, even though it was many years ago? A. Yes we believe NNEB diplomas do count. You would need to double check this but we think the diploma counts as a Level 3 equivalent and a certificate counts as a Level 2 equivalent. The important point to make here is that an NNEB qualification/TA comparison is equivalent of and doesn’t automatically give you a TA qualification. An employer is likely to look at the qualification as equivalent to. With regards to being qualified many years ago, the likelihood is that your future employer will make the decision on whether they are comfortable employing someone that has been out of the sector for an extended period or not. Your qualification wont expire as such. Q. I had a juvenile conviction when I was a kid, but I now want to become a teaching assistant. Will it hinder my chances with the relevant checks? A. It really depends on the nature of the conviction. If it is a minor offence with absolutely no relation to issues around pupil safeguarding and child protection, it is unlikely to impact your ability to find work in schools – but the decision to appoint you will be down to each individual head teacher and your conviction will need to be disclosed. Q. I’m volunteering at the moment, but can’t seem to find paid work. Do you have any advice? Q. Are there any standard interview questions I should be aware of? A. If you can’t find relevant resources on the TA focus website, try Googling “interview questions for teaching assistants”. You’ll find plenty of resources and guidance. Perhaps Teaching Personnel will work with the TA Focus website to create this resource in the near future! Q. There seems to be a standard application form for most schools. Can you offer any advice on how best to approach the application form, particularly where you need to detail why you best fit the role? A. Firstly, ensure you understand the role being advertised and what it entails. Try to be as individual as possible and ensure you are articulating how you believe you will add value to the school, its staff and pupils. Don’t overthink this – they want to know about you – they don’t want you to tell them what you think they want to hear. Obviously ensure your spelling and grammar are correct! Q. What is the process of temp work i.e. will I be paid weekly, will I be given little notice of jobs etc? A. Yes you will be paid weekly if you join an agency. When it comes to TA work, most assignments are not on an emergency basis so you should get reasonable notice. Teaching Personnel Disclaimer: The information on the TA Focus Careers Week Q&A page is for general information purposes only and is based on Teaching Personnel’s experiences in the education recruitment sector. Teaching Personnel make no representations or warranties of any kind, express or implied, about the completeness, accuracy, reliability, suitability for a particular purpose. By making any use of the information provided by Teaching Personnel you agree that in no event will Teaching Personnel be liable for any loss or damage including without limitation, indirect or consequential loss or damage, or any loss or damage whatsoever arising from, arising out of, or in connection with, the use of this information. Any reliance you place on such information is therefore strictly at your own risk. A revised SEN Code of Practice will be published by the Department of Education by April 2014 and implemented from September 2014. Essentially, the Government will transform the system so services support the best outcomes for those with special educational needs (SEN), giving young people and parents a greater input into decisions and ensuring needs are met. Promoting the participation of children/young people and parents in the SEN decision making process. The extension of the SEN system from birth to 25 (which will replace the Learning Difficulties Assessment for school leavers). Improving the progress of children/young people with SEN.
Co-operation of local education, social care and health services to meet the needs of children/young people with SEN.
LEAs to publish a clear ‘local offer’ of services, so young people and parents are aware of what is available to them. Statements to be phased out from September 2014 and replaced with Education, Health and Care (EHC) assessments. SEN Support will replace School Action and School Action Plus, where school will involve parents with decisions, outcomes and planning. Academies, Further Education, Free Schools and Sixth Form colleges to include the same SEN duties as maintained schools. Free digital copy of NASTA’s Supporting Learning magazine! NASTA (The National Association of School Teaching Assistants) publish three editions of the official NASTA magazine, Supporting Learning, annually. 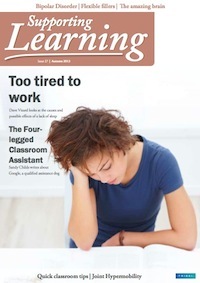 The magazine contains articles written by Dave Vizard (Editor and Chair of the Association) and other experienced professionals about relevant, up to date Teaching Assistants and Cover Supervisors topics, including behavioural management, strategies to support pupil’s learning, management and professional development issues, real life stories and plenty more! NASTA has provided TA Focus visitors with a free digital copy of Supporting Learning (Autumn 2013) until the end of April 2014. To receive a digital copy of the magazine, please sign up to the TA Focus newsletter and NASTA correspondence below (TA Focus will send regular newsletters and NASTA will notify you of offers and information relating to NASTA and Supporting Learning). Teaching Assistant’s Pocketbook – 10 Copies To Win! Teachers’ Pocketbooks, launched in 2003, are intended to aid classroom teachers and support staff with practical information, ideas and expertise on a number of topics. They are cute postcard-sized reads with the added bonus of cartoons! 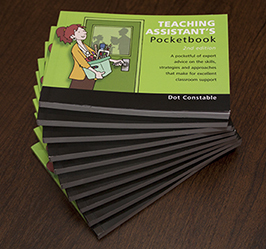 10 lucky winners will receive a copy of Teaching Assistant’s Pocketbook by Dot Constable, generously donated to us by Teachers’ Pocketbooks. Do you know of an excellent FREE resource other Teaching Assistants can benefit from? Perhaps a free ebook, magazine, PDF, infographic or other? To enter our competition, all you need to do is alert us to a great resource, which we can add to our Teaching Assistant resources page. It can be in any form, but something you feel other Teaching Assistants will find useful. 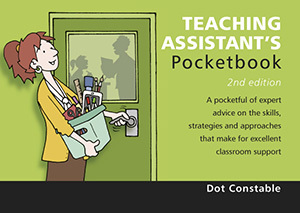 We’ll pick the best 10 suggestions and each person will receive a copy of Teaching Assistant’s Pocketbook! The competition will end on 10th February 2014. Entrants must be at least 16 years of age and a UK resident. The winning comments will be selected by the TA Focus team on or after the closing date. Winners will be notified by email within 14 days of the winning comment being chosen. TA Focus’ decision is final and no correspondence will be entered into. Sarah, from Surrey, works in a London secondary school as a TA. Her heartbreaking story depicts the situation of one of her statemented pupils. There are times when my boyfriend turns to me and says: “Why do you do this job? !” Sometimes I do find it hard to leave work behind at the school gate. I trained as a teacher years ago, but found the work exhausting. I went on to do other things and returned as a TA because I felt it gave children the support they needed and I could leave work without the heavy burden of marking etc. That was until I met Danny (name changed). Danny is an angry kid. He gets into fights, throws books and furniture across the room and is unbelievably sad. He’s also supremely clever. The teachers used to talk about him all the time, rolling their eyes and throwing their hands in the air in despair. How could you blame them really? They were scared of him. The Educational Psychologist got involved and Danny became a statemented pupil. That’s when I first met Danny. It had taken months for the application to go through, and when it did, my TA colleague had gone on maternity leave, so I filled in. As with many kids at the school, Danny comes in tired and hungry. He shrugs if I ask him about his breakfast and he regularly tells me about his after school activities, walking around the streets and parks when his classmates are in bed. He hates his home life, but it’s never discussed. I know too much anyway, from the teachers and other TAs. Mostly he behaves ok, but his anger takes over, especially when he feels criticised or bullied by his classmates. Two weeks ago, he got into an argument with another kid about a ruler. It escalated and the ruler was smashed several times on desks and other furniture. No-one was hurt, but Danny broke down when I took him outside. He cried and shook inconsolably for 10 minutes and my heart began to break as he told me why he felt anger, loneliness and terrible sadness. I can’t repeat what he said, but it made me realise the emotional burden some of these kids carry around with them. Danny and I regularly discuss his interests and his aspirations. He wants to become a photographer and we’re planning on spending some time in the arts department with various cameras and equipment to make even David Bailey proud. We’re also considering ways to ensure he’s fed during registration for most days. Danny appreciates what we do, especially the time I spend with him. I can’t say he’s always nice to me. Some weeks he doesn’t want me around him and complains I’m just like the teachers. He behaviour is destructive and he hardly learns a thing. Other weeks his creative side shines through and the sparkle in his eyes return. I sit at home and worry about Danny, as if he were my own. When my children are in bed by 9pm and I flit around the house with time on my hands, my mind drifts and I wonder if Danny’s on the streets with his friends. It’s the sadness in his eyes that haunt me most, but I know he’s only a few years away from being able to leave home. If I can just be there for him and ensure that at least one person will listen to him and guide him, then maybe he’ll turn out ok. I remember my difficult years at school, how I left home at 16 and how, more importantly, my teaching assistant made a difference to my life. She was so patient and understanding during some difficult times, I can assure you. I put her through hell some weeks, but she was always there for me.